Our 42mm Ferrite horseshoe magnet has a length of 42mm and a width of 38mm. 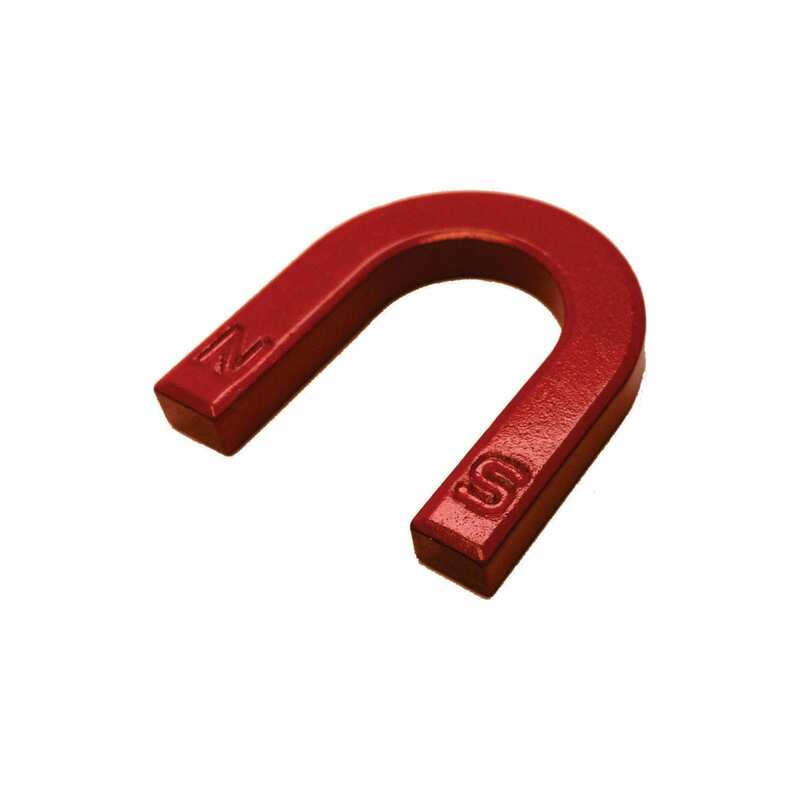 We coat our Ceramic horseshoe magnet in red paint for protection. 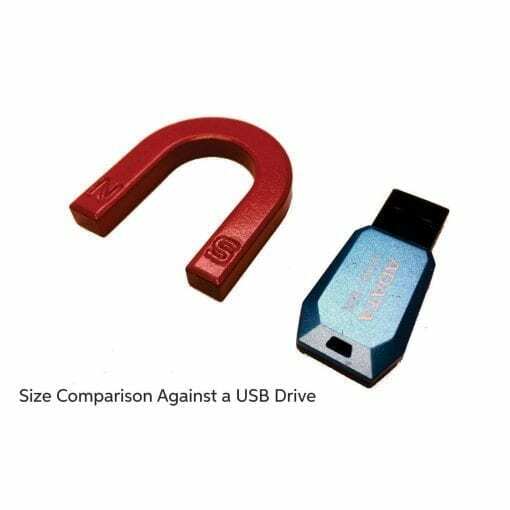 Our 42mm Ferrite horseshoe magnet is made of a Ceramic magnet coated in red paint and is axially magnetized (through length) with a clear north and south pole marked on each end. This small magnet makes it possible to identify the poles of a magnet. Use the north-south ends, just place on the magnet and see where it points to! 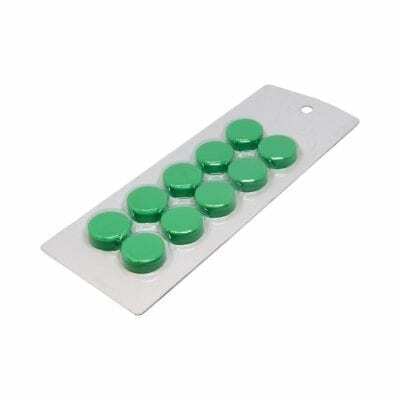 This makes these bars ideal for educational purposes being able to teach about the poles of a magnet. These educational products are very popular intuition environments being able to demonstrate clearly the effects of a north and south.